There are plenty of wine’s benefits if you drink it in moderation. It can help you boost your immunity, reduce forgetfulness, lose weight, and prevent bone loss. Here are some other reasons why a small glass of wine a day is good for you. A British study has shown that people who drank a small glass of wine a day reduced by 11 percent their risk of H. Pylori Bacterial Infection, a main cause of ulcers, gastritis, and stomach cancers. Half a glass of wine can also protect against salmonella food poisoning. Wine might help preserve your memory. When researchers tested the memory of women in their 70s who were given memory quizzes, those who drank a glass or two of wine a day scored better than those women who didn’t drink it at all. Tedd Goldfinger, Clinical Assistant Professor of Medicine at the University of Arizona School of Medicine, explained that wine can help lower blood vessel inflammation and prevent clots, which have been linked to heart disease and cognitive decline. Alcohol intake also seems to raise HDL, which helps to unclog your arteries. Studies show that people who drink a glass of wine everyday have lower body mass than those who drink it occasionally. Moderate consumers of wine have less abdominal fat and narrower waists than those who drink liquor. Moderate alcohol consumption can burn extra calories for as long as 90 minutes after you drink a glass. On the average, women who drink wine moderately seem to have higher bone mass than women who don’t drink it at all. Alcohol intake appears to increase estrogen levels, the hormone that slows the old bone destruction more than it slows the formation of new bone. Recently, Australian researchers compared cancer-free women and women with ovarian cancer, and found that a small glass of wine everyday can lower the risk of the disease by 50 percent. Earlier study at the University of Hawaii made similar findings. Experts think this can be due to phytoestrogens or antioxidants that have anticancer properties and are found in wine. Recently, the University of Michigan conducted a study in which a red wine compound helped to kill ovarian cancer cells in a test tube. 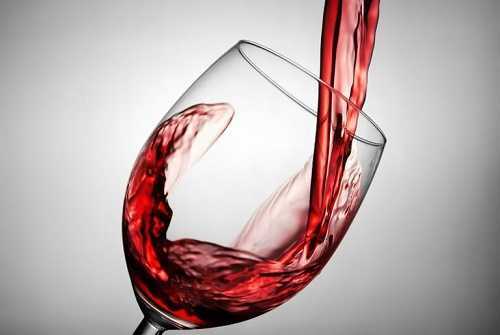 Do you know that a small glass of wine a day can help you avoid blood sugar problems? According to a ten-year study by Harvard Medical School, premenopausal women drinking one glass of wine everyday are 40% less likely to develop type 2 diabetes than women who don’t drink. That’s because wine consumption seems to lower the level of insulin resistance in people with diabetes. Now that you know a few reasons why a small glass of wine a day is good for you, you might think about moderate wine drinking. Remember, moderate! Do you know some other reasons to drink a glass of wine everyday? Share your thoughts, please!